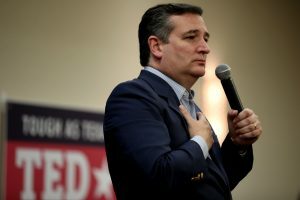 Senator Ted Cruz is suing the Federal Election Committee over a provision of Bipartisan Campaign Reform Act (BCRA) that he says violates political candidates’ and campaign donors’ First Amendment right to free political speech. Cruz is specifically challenging Section 304 BCRA, also called the McCain–Feingold Act, which caps the amount of money a candidate can be repaid for money he or she loaned their campaign, or raise money from donors to repay the candidate’s loan, at $250,000. The provision also imposes a 20-day deadline for post-election donations. According to the complaint, Cruz made two loans to his campaign totaling $260,000, with $5,000 originating from a personal bank account and $255,000 coming from a marginal loan that he secured with his personal assets. The Cruz campaign repaid Cruz $250,000, but is prohibited from paying the remaining balance of $10,000 because of the mandated maximum, and also because the 20-day deadline has passed.